a stitch in dye: No Prints. No Kidding. For those of you who haven't heard there's a new quilting book coming out that those of you enamored of modern quilts are going to want to check out. Now, I'm partly saying that because I'm in this new book, but that's not entirely my motivation. First off, there are 15 other terrific, creative designers featured in this book and secondly the book's focus is quilts made exclusively of solid fabrics. 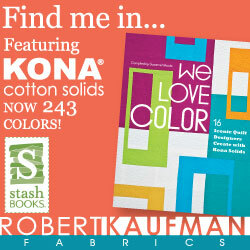 And not just any solids, but Kona Cotton solids by Robert Kaufman. The idea behind this book is actually very simple, but has yielded some powerfully graphic and inspiring quilts. All the designers were asked to submit a proposal for a quilt crafted entirely out of solids. Once approved, we were provided with Kona cottons in the colors we requested and we set about bringing our designs to life. By limiting the fabric choices to solids within the Kona palette, the editor, Susanne Woods, really set a contemporary tone for this book. Without prints most, if not all, of these quilts seem to rely on core design principles like color and shape. Mine certainly was steered in that direction by the parameters of the book. While it wouldn't be fair to show the actual quilt so long as the book has yet to be officially released, I feel OK about showing y'all the mock-up I made for my design, The Sweet as Pi Baby Quilt. Yep, it's round and, don't be fooled, so easy to make. I've added the badge for the book to right-hand side bar of my blog. It's linked to the C&T site if you'd like to pre-order the book there. If, however, you'd like to purchase or peruse We Love Color via amazon, click here. This looks such a great book Malka! It's already on my Amazon wishlist! Your mock-up has me excited for this book. I've just started working with solids only and love it! Can't wait to see the entire book in person! What a tempting peek at your design, Malka! Can't wait to have this book in my hands. Congrats! 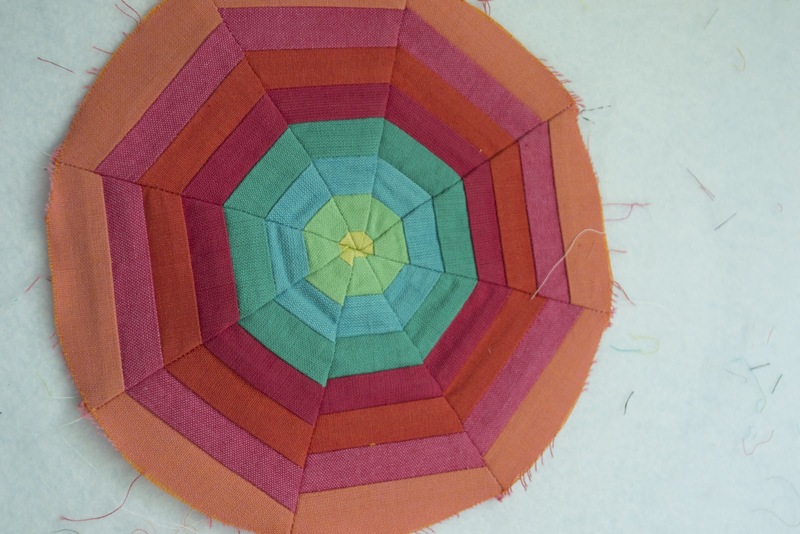 It looks fantastic and your block is gorgeous! 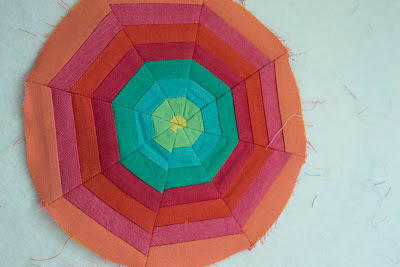 Love the idea of using all solids, still have to try it. I've got the book on order and really looking forward to it! Olá,eu gosto muito de sólidos e gostei do seu bloco,parabéns,A minha sugestão é que você nos faça um sorteio.Obrigada.